Sushi Party Made Fun and Easy with New Deluxe Sushi Making Kit by Sushi Now! The new Sushi Now! Deluxe Sushi Making Kit contains all the dry ingredients and necessary tools—plus an instructional DVD—to feed the family or host a super fun sushi party for five to eight sushianados. It’s not as hard to make sushi as you might think. The Deluxe Sushi Making Kit comes with everything you need to throw a smashing sushi party. Sushi is often referred to as Japan’s nutritious and delicious gift to the world, but an evening at the hottest new sushi restaurant, or even takeout sushi, can get expensive. Hosting a sushi making party is an intimate and fun way to entertain friends and family without the high price tag of a posh sushi bar. Not only will it tickle the taste buds, it will bring everyone closer as they work together to make a successful meal. And the Sushi Now! Deluxe Sushi Making Kit makes it easy and affordable to host an unforgettable dinner party. Available only online, the Deluxe Sushi Making Kit by Sushi Now! is a “sushi party in a box” for 5 to 8 people. The kit, created by professional sushi chefs in California, contains the proper amounts of dry ingredients, necessary tools, and instructions to get any at-home sushi making party started. Just add fresh vegetables, tofu and, if desired, cooked or raw fish. The easy-to-understand instructional sushi-rolling DVD walks aspiring sushi chefs through each step for making three different styles of sushi rolls. It also tackles the notoriously mysterious task of making the perfect sushi rice. Dry sushi ingredients in the kit include enough nori (dried seaweed), rice, all-natural wasabi and ginger, rice vinegar mix, and black and white sesame seed mix to make 12 sushi rolls. A rice paddle and rolling mat make it easy to create professional looking rolls, while miso soup, green tea, Japanese rice candy, soy sauce packets, and chopsticks complete this sushi party in a box. The SushiNow.com website provides helpful instructions and how-to guides for making restaurant-quality sushi at home, straight from Chef Matisse. The site contains a wealth of information regarding the history, presentation, rolling and etiquette of the art of sushi making. Sushi Now! also hosts a YouTube channel with videos that demonstrate the proper techniques for rolling Hosomaki (thin sushi rolls), Futomaki (thick sushi rolls), and Uramaki (inside-out sushi rolls). The link is http://www.youtube.com/user/SushiNow. 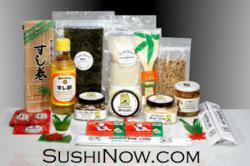 For more information about sushi making kits or any of Sushi Now’s products, call them at (831-425-4781) or visit them on the web at sushinow.com. Sushi Now! 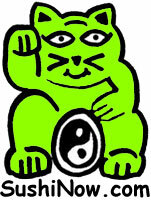 is a supplier of all natural sushi related Japanese foods. Sushi Now! ships all over the United States. Look for the Sushi Now! line of sushi products at local natural foods markets. Sushi Now! 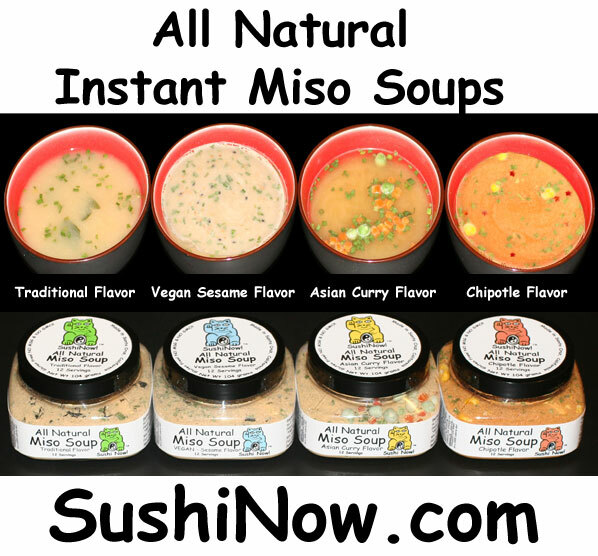 All Natural Miso Soups from Sushi Now!